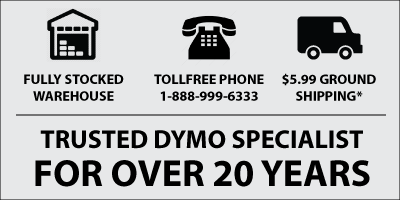 Manufactured by Dymo - 100% guaranteed not to void your Dymo warranty. File Folder Labels are compatible with all Dymo and CoStar LabelWriters. Label City labels work great, good price, and orders always ship out quickly and accurately!! Every time I call, it doesn't matter who takes the call, they are always so polite, courteous, and friendly. They take care of my order promptly and we receive our order in just a few days. Thank you for always being so knowledgeable and answering my questions. We have used these labels in our Dymo label maker for many years in our office and have never had a problem with them. The quality and price is great. Polite customer service too! I have purchased these labels for years and have never been disappointed in the quality of these labels. Label City has not failed us when it comes to quick shipping. Wish other companies could follow suit. Never had to send anything back.